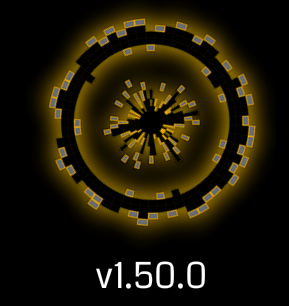 Ingress scanner v1.50.0 is slowly being released to agents in the field! 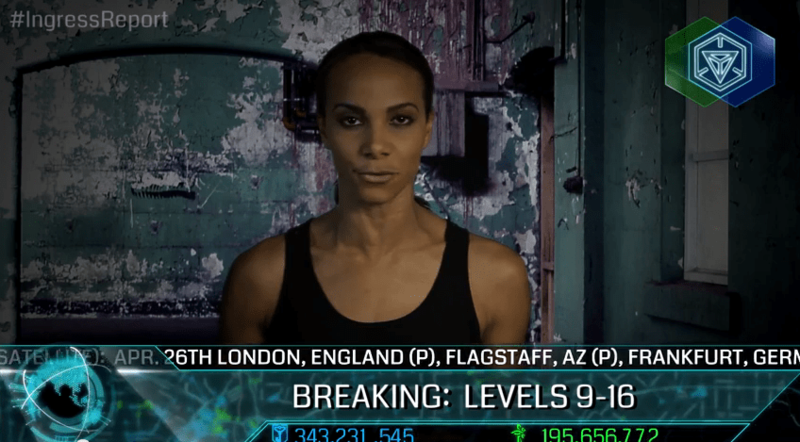 Ingress Report 54 teased at Levels 9-16, though didn’t give us much more information than that. Hidden in the APK we were able to find more details on these new levels, and their requirements. We also noticed that black notches have been added to the inner circle of the current level notches on the agent avatar. It is speculated that these will fill in as levels 9-16 are obtained. Mostly known for my How To Play series on YouTube. As a writer for DeCode Ingress, I mainly cover Scanner Updates and other breaking news type items. If you ever have any feedback, don't be shy to leave a comment on here or my YouTube. Even welcome to direct messages on Google+. No wonder there has been so much out of the ordinary activity around here. The Venice Google toads must have leaked this info to their fellow players and this explains whey they jumped to get ahead of the game two weeks before this info was released to the general public! I live in a metropolis of 6.7 million and have the onyx guardian medal. It can be done. Would love to know how. So can we now lvl up? Anything else coming in with this patch? Well it seems that the level requirements are as over the top as the gold/platinum/black badge requirements. Not cool. Now what I’m wondering is if any of the non-tiered badges (Founder, Recursion, Verified, etc) count as a specific badge level. If any of these types of medals count, then I may be hitting the next levels rather quickly. I’m not so sure about ‘special’ medals. 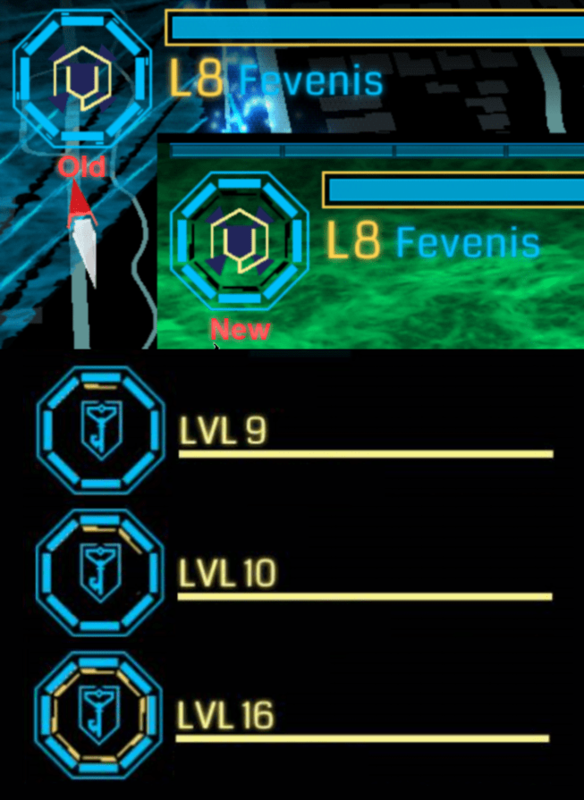 Interitus medal was silver when acquired, then became orange, maybe because of these new levels requirement. Recursion medal is more yellow than gold. Verified is more neutral than silver. Only the founder medal looks like a black one. The Recursion medal said “Gold Recursion Medal”, when redeemed from a passcode. The first Interitus said “Bronze Interitus Medal”. It did have silver colour and changed to a bronze one later. I think it is upgradable the more anomalies one visits. Question. If one has 4 silver badges and 1 black badge. Will the black badge count as a gold one for level 9? OK, so an iOS client has be down the pipeline pretty soon. They say 2014, but I’m so tired of waiting. What’s slowing them down? I’m well aware that Ingress is an Android app, but they have a developer(s) that is supposedly working on the code to make an iOS app. It’s like saying that Angry Birds should’ve just stayed on the iPhone. This is an excellent point. My guess is that platinum counts as 1x platinum + 1x gold +1x silver. In fact, if you have platinum, you must have silver and gold of the same type as well. That way for lvl 12 you would need only 6 gold and one silver medal effectively. Doubles? I wouldn’t think that. But I would think that if you need 4 silvers and a gold that 5 golds would cover it. Will be interesting to see if the AP is level to get to our house much needs to be collected to get to the new level! I hour IRS the later! Looking at the amounts of AP, I’m feeling semi-confident if the collect model! Could you please confirm if this is update received from play store, then extracted APK and mirrored, or is from that post few days ago? Because I did not found any prove, that this is official release version. Huh might get the Lady and I playing again. Good to see you doing well here Fev. Will there be higher level XMP and Resonators ? Any idea why I might get “x App not installed” when trying to install from the APKs linked to this blog post? Make sure you can install apps from unknown sources in your Android security settings. Stupid question… If I have 3 black medals and 20m AP but not the gold medals, can I “jump” directly to L14? Seems like you got what it takes. Version 1.50.0 updated officially from Google Play but no new levels (it even doesn’t appear the “next level…” line) nor black notches. I have 2,6 M AP, 1 black badge, 1 gold badge and 3 silver badges plus Founder and Verified. Teased? So level 10 could be 5000000AP and 10 badge points…. but they do… silver is 1 badge point, gold is 100, platina = 10000 and black is worth a whopping 1000000. Sure you can do the math to calculate the required amount of badge points to level up. It’s a real kick in the teeth when you didn’t get anything from the initial leveling (they implemented the badges after I was 8) and stopped playing because there didn’t seem to be anything new coming until now. There are 8+ months left in 2014. Verified is it’s own color. Founder appears black, and Recursion appears gold. I’d safely assume the Verified badge is just for status quo and doesn’t count. Founders badge might be for bragging rights only, but I hope it counts because by golly I put my freakin’ time in with that stupid reso carousel! Seems unfair that a Recursion badge would count, but I hope so because I have one. And don’t forget about the Interitus badge. If you throw all of those out, then there are only 11 badges, yet you need 13 for L12. My guess is that out of 15 badges, all but Verified count. So, if you weren’t a founder nor participated in an anomoly, then you might be stuck at L11 for a while. There could be new badges coming, but there are a lot of agents with 10+/20+/30+ million AP and the badges to go with it, and I don’t think they would get screwed by having to wait for a new badge to earn their rightful new level. Think of new badges for those stats in the agent tab with no badge association. Niantic has tons of data related to each agent. Only XM stat started from scratch when introduced. Thinking about it, its not hard to imagine that there will be a badge related to the Glyphs. I would like to see a badge for smashing links and/or Fields! Who knows what else might come! I would like a badge for all the AP I gave away to help agents level up… or I would like all that AP credited back to me! I’d also like a badge to reflect my milage putting up and destroying large fields. I mean like hundreds of miles, not just over my city. You can keep the AP, I want credit for all the potential resonators I could have deployed and the Fields/links I could have created! I know I’m on a lonely island here, but I hope AP wise, we all (i.e. Level 8s) start the same distance from Level 9 as each other and let the race re-start! Its not going to be as fun to “ding” level 12 overnight without the steps on the way! Also, will there be L9+ resonators and xmp? Will the reso still be limited at one per portal above L7? According to what everyone is saying the gold should count for a silver too. Plus other players that meet these “requirements” otherwise are still lvl8’s as well. Nice image, can you please make the difference between silver and platinum more clear? For instance wrining ‘platinum’ inside the medal.Thank you! Looking at the source of Ingress it seems like the badges are checked from the lowest to highest (ex. silver first). That may indicate, that some badges will be counted twice (which means that this infographic is wrong). For example if I have 3 silvers and one gold, the algorithm will iterate through badges once, finds out that I have 4 badges silver or better, than go second time and find out that I have one gold, so all requirements for Level 9 are fullfiled and I will level up. There is no easy way to check this out yet, but it is possible considering the main loop for checking levels. It is unfair, players from small towns do not have the same opportunities to get some medals. Getting gold is very difficult, almost impossible to platinum, have 6 million and surely I’ll stay in the lvl 9 long. This upgrade only benefits players in large cities, where to get certain goals are easier to achieve. I am from village and we visit Prague (our capital city) for Ingress during holiday. If you want better level, you must play the game. We stay in the city for all night and during 10 hours everyone made about 200 000 AP. On the other hand you don’t fight against 10’s of L8 enemies. I might be color blind but do I just see the Platinum badges for Level 13? or Is it applicable for levels further above. 1.50.0 crashes on my Huawei Ascend G300 (U8815-1). Correction Crash with Huawei Ascend G330 (U8825-1). Sorry, made a typo in Google Search. will there be level 9-16 resonators and bursters? Can I hack capsule now? How do I shoot web? How do I move my guy?